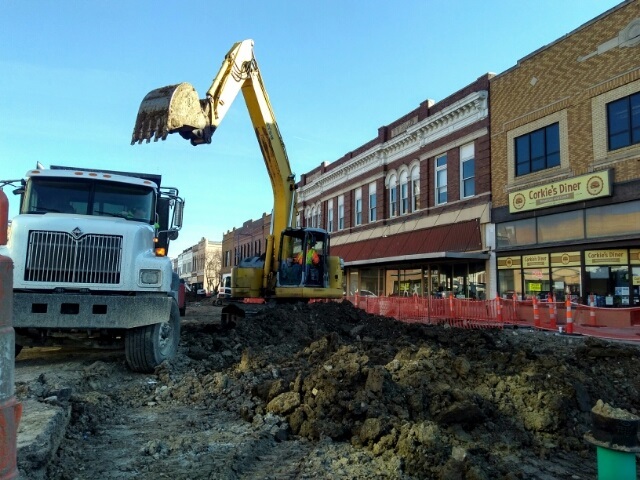 Jackhammers, excavators and skidsteer loaders have been busy making noise near the Stiefel Theatre in Salina. The symphony of construction tools and manpower is part of the $160 million dollar street renovation project that will bring a new look and vibe to a four block area downtown anchored by a new hotel being built at Mulberry and Santa Fe, and running north to a family fun center under construction at the corner of Ash and Santa Fe. The new, wider sidewalks with brick inlays, planter boxes and some new ornamental lighting are already in place between Walnut Street and Mulberry. 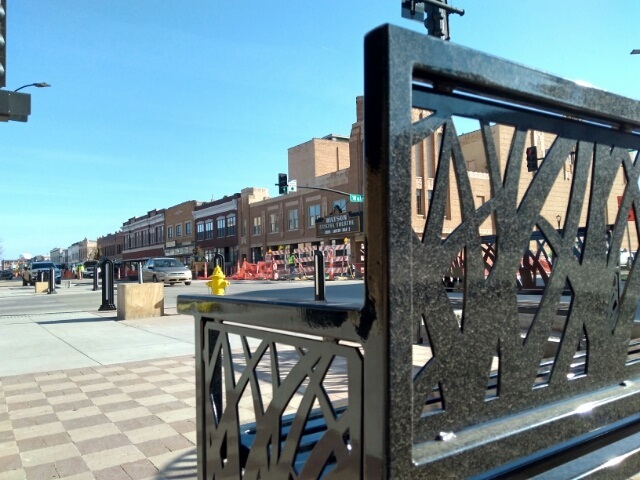 Designers hope the new metal benches will also help create a place for shoppers and visitors alike to enjoy the view – and the sound of a city on the move. 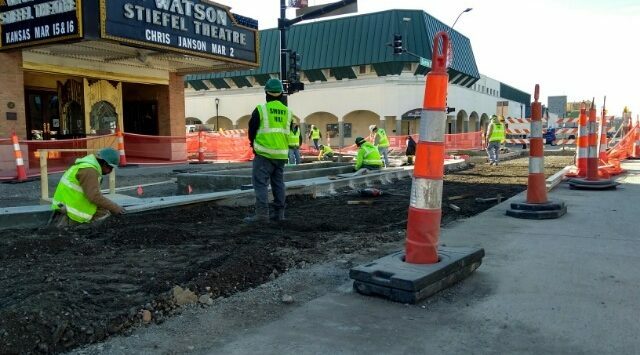 Salina Public Works Director Jim Kowach says the south end of the project and the north end of the streetscape are slated to be completed by July, 31 2019. “The interior two blocks are supposed to be done by November of 2019,” Kowach said. He added weather may play a role on the finishing touches to the landscape design in November. Some of the public and private projects that have been woven into and around the streetscape improvements include the Salina Fieldhouse, KU School of Medicine and Nursing, a new drive-through recycling center plus an Old Chicago restaurant.